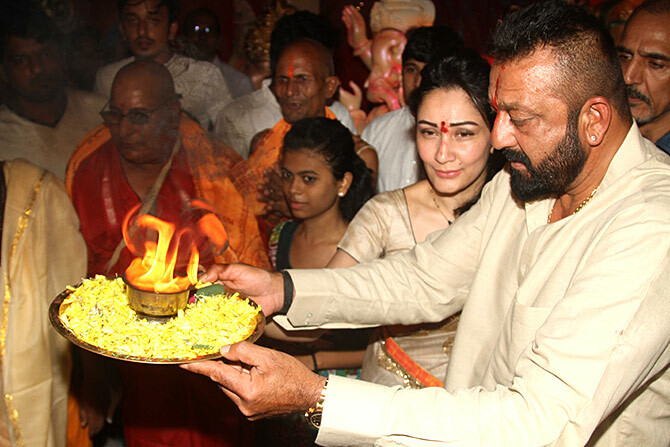 Sanjay Dutt and his wife Maanyata welcomed Lord Ganesha into their home with aarti and much festivities. 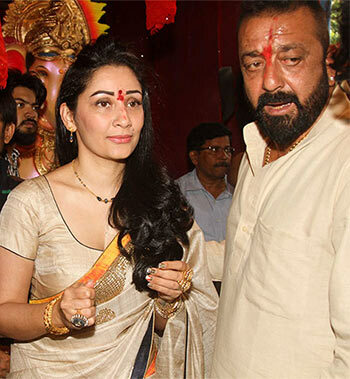 Dutt was in prison during Ganpati last year, and Maanayata and her kids had brought home Ganesha. 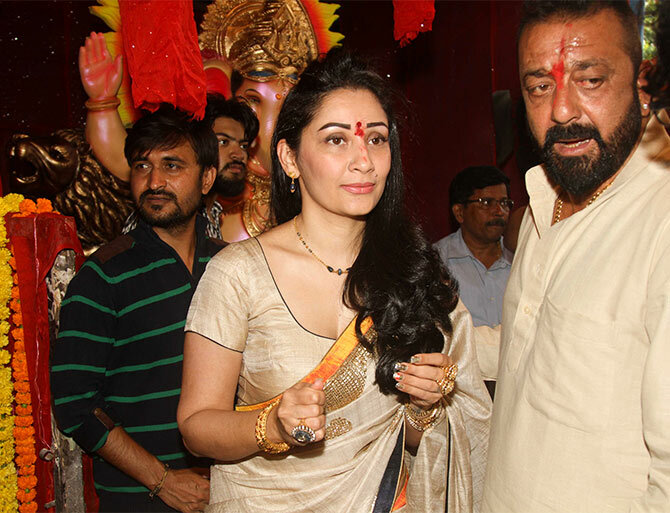 This year, with the family united, they seem to be making the most of the festival. 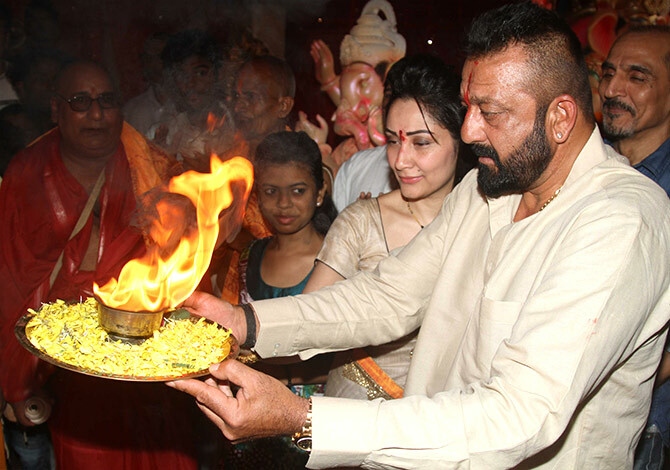 Looking at pictures from the celebrations.